Around 7 pm at Cleckheaton Beer and Music Festival, Cleckheaton Town Hall. It would be great to see you at either or both! A few months ago, I repaired some of my old cymbals and gave them to a friend’s son who is learning to play drums, knowing that he’d be better off with well-repaired, professional cymbals than with the type of entry-level cymbals in his budget range at the time. His drum teacher, the excellent Ash Muscroft of http://www.ashmuscroftdrumtuition.co.uk/ spotted these cymbals and asked if I would repair a couple of his. The first was a Paiste ride with a simple edge crack, needing a straightforward scallop repair. The other, however, was a very different beast – a lovely Sabian HHX with a MASSIVE, flappy break almost to the bell. See Ash’s post below for his take on the repair, and my thanks to Ash for trusting me with his bronze! Check out our new online store! 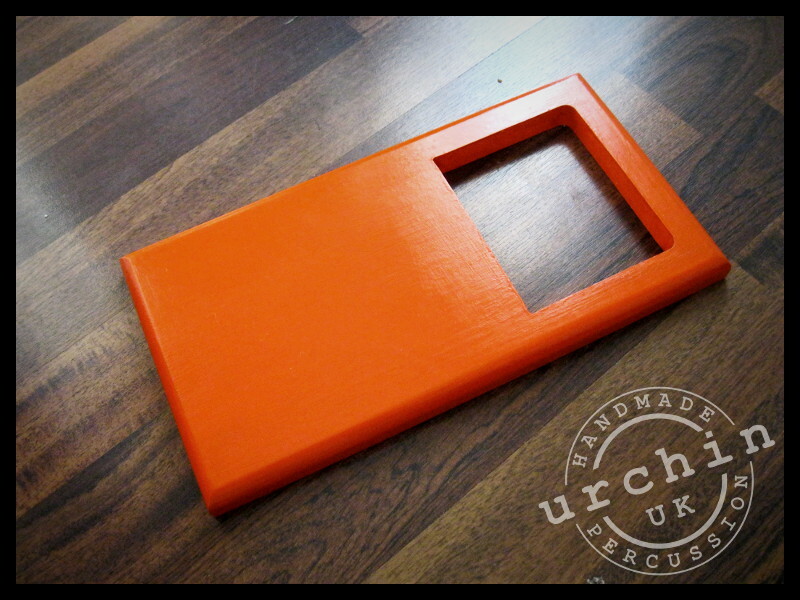 Easy ordering of Urchin products and merchandise from right here on the website. 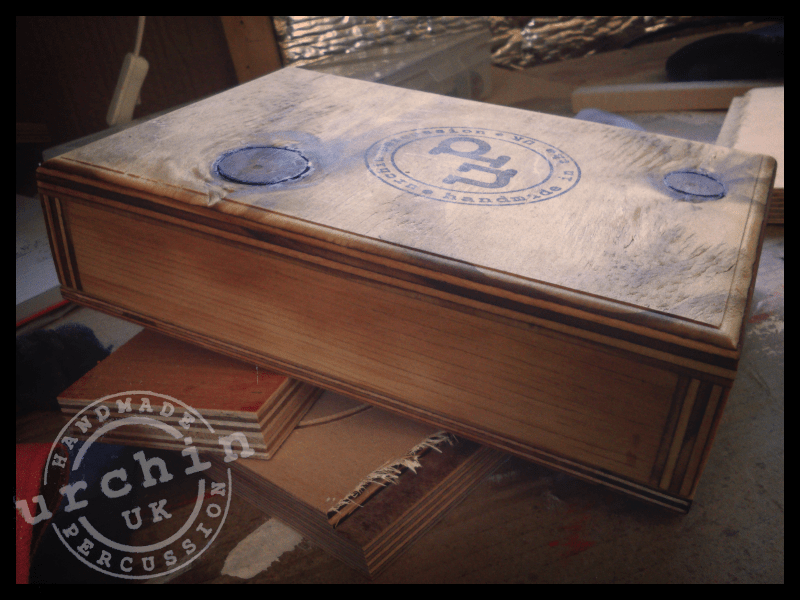 This matching pair of Urchin Snare Cajons are ready for assembly, then they’ll be off to a school in West Yorkshire. 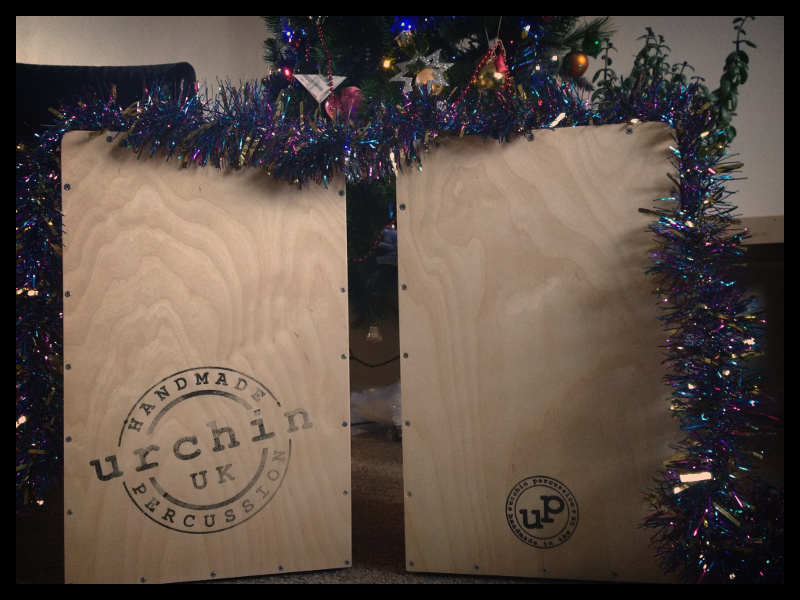 A couple of crackers left under the Christmas tree here at Urchin HQ. SwampBox Footplate: Simple. Useful. Orange. This is the Urchin SwampBox Footplate. A piece of wood with a hole. But slot in your Urchin SwampBox stomper and it becomes a footplate, lowering the ‘box’s stomping angle and adding stability to your stage setup. 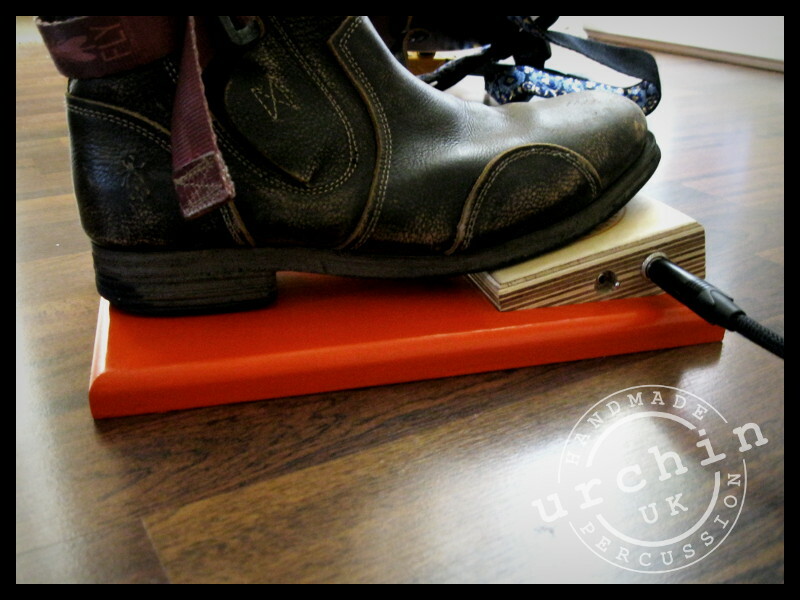 With its non-slip backing, the Footplate is robust and simple to use; the SwampBox is not permanently attached to the plate, so it can still be used alone wherever travelling light is important. Pricing TBA. Posted in: News, Products, Workshop. 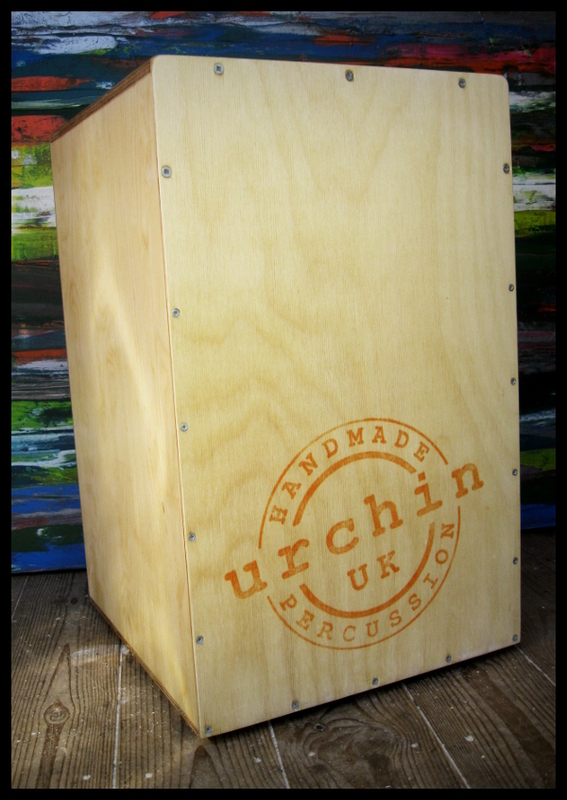 Made from reclaimed ply, this large-sized Urchin SwampBox is a thumping addition to any player’s setup. 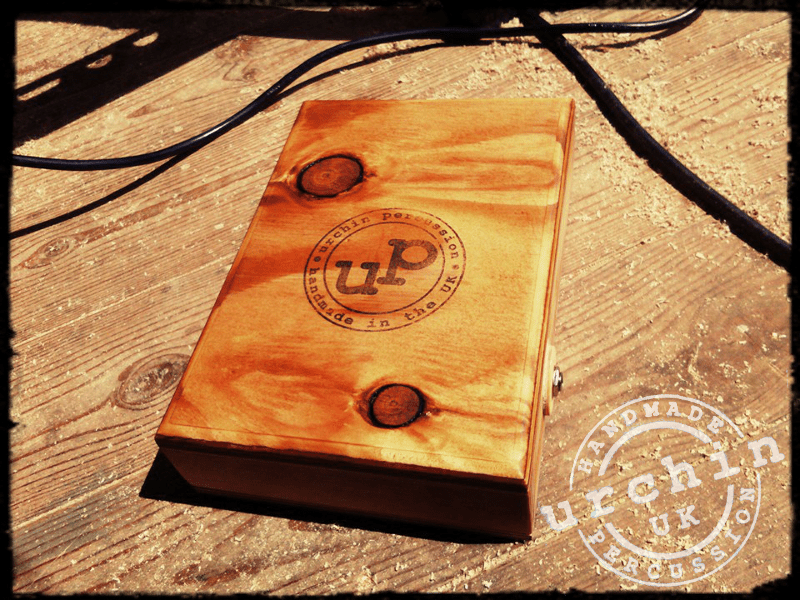 Use it to add some rhythm to your guitar, as an additional voice for your cajon playing, or wherever you want to add a little drive to a performance. First cajons from the new UP workshop! And with a new orange logo option! 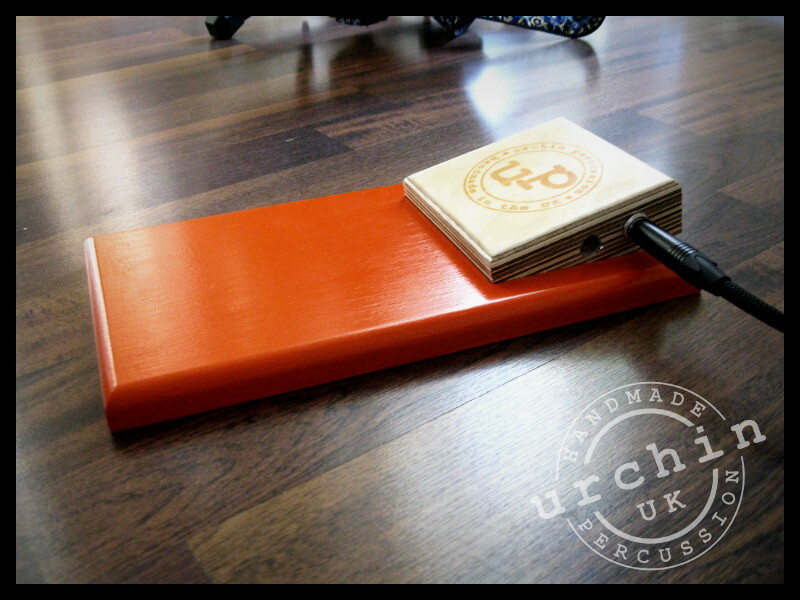 This is the first of the stock from the new UP workshop. Currently on display at Wild Heart Music in Bourne.